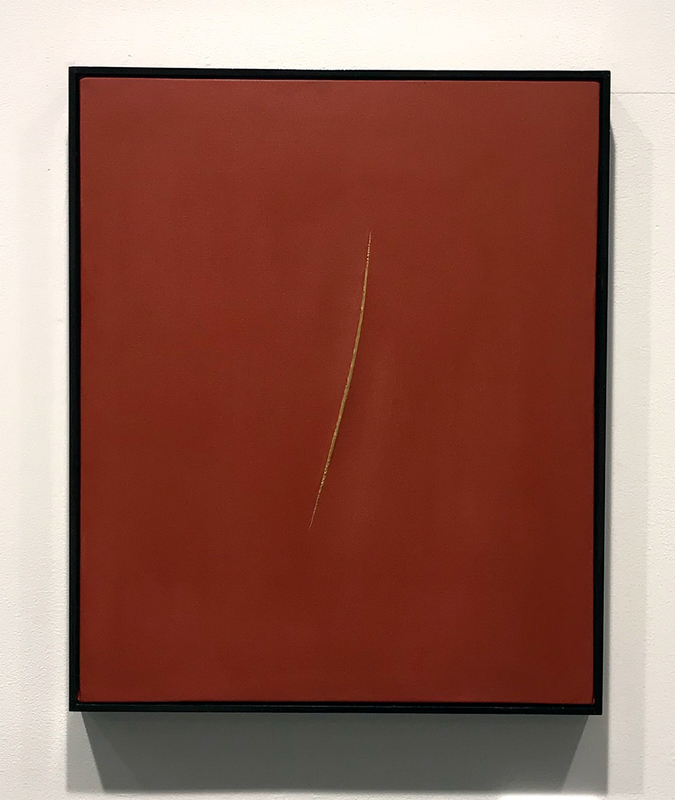 I based this piece on the series of Concetto spaziale, Attesa/Attese by the 20-century Italian artist Lucio Fontana, slashing the canvas itself as he was known to do. I then inpainted the cut lines with “Kintsugi.””Kintsugi”is the Japanese traditional art of repairing broken pottery in which cracked parts are put together with lacquer dusted with powdered gold. By portraying the cuts as scenery, they are turned into a positive. This is rooted in the unique Japanese aesthetic that seeks beauty from deficiency and absence. By repairing slashes called Attesa/Attese (expectations) by Fontana, I went over to the other side. Having said that, the affirmative spirit reflected on the evidence of repair in gold suggests “expectations” after all.